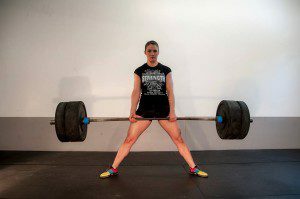 What Will You Find At The Only Real Gym In Binghamton, NY? We don’t have tanning, showers, or child care; we don’t try to be all things to all people. We do have 24/7 fingerprint access, competitive rates, and the best members at any gym in Binghamton- they’re who really set us apart. Hi, that’s me, Dickie, along with my wife, Laura. If you ever make an appointment to check out the gym or sign up, you’ll meet one or both of us during the process. 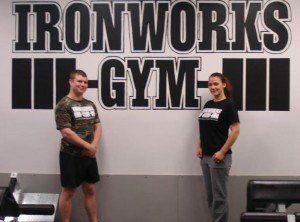 So, on behalf of the two of us, welcome to IronworksGymBinghamton.com, home of the only real gym in Binghamton, NY. 1. Most people when they first visit this site are interested in membership options. To check out our rates, simply visit our membership page. Please keep in mind- we care about providing value, not being the cheapest gym in Binghamton. So if you’re looking for a $5 or $10 a month membership, I suggest you to check out Planet Fitness or American Family Fitness. 2. If you’re interested in signing up, be sure to check out our sign up page. While Ironworks is a 24/7 fingerprint access gym, new members do need to meet with Laura or me to get their fingerprints scanned into our system to gain access. If you want to set up an appointment to join, shoot us an email at IronworksGymBinghamton@gmail.com. You can also call or text Laura at (607) 727-6086 to set up a time that’s most convenient for you. 4. Finally, watch the video tour to see if Ironworks Gym is right for you. If you think Ironworks will be a good fit for you, then call or text Laura at (607) 727-6086 to set up an appointment to sign up. Click Here to read our reviews on Google. Click Here to watch a video featuring members' testimonials. An appointment is required for your first visit. Text Laura at (607) 727-6086 to set up a time to meet her at the gym. Text Laura at (607) 727-6086 to schedule an appointment to get into the gym!